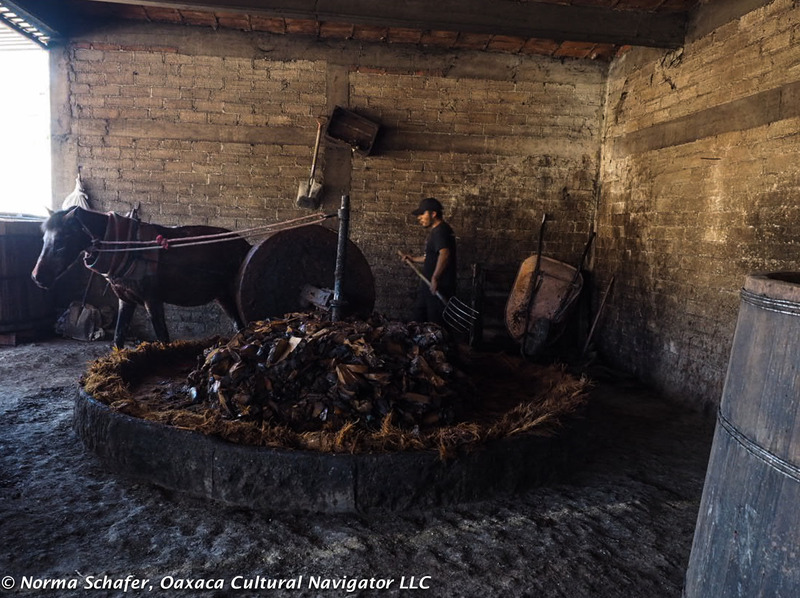 Here we are in Oaxaca, Mexico, center of the universe for the cultivation, production, distilling and bottling of agave nectar we call mezcal. Mezcal is hot. A hot commodity, that is. I stand corrected! Agave is not a cactus. It is a succulent. Thanks to reader Andrew for bringing this to my attention. I’ve changed the post title. 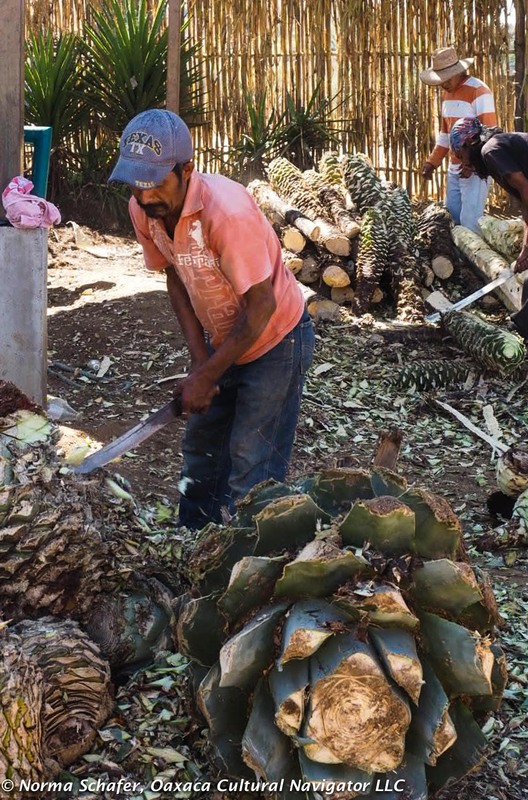 A local friend told me his uncle sold his espadin agave field for 40,000 pesos when it reached maturity after seven years. It takes a long time to make $2,200 USD equivalent here, even at today’s exchange rate. But, that’s a lot of lana (money) and a farmer is happy to hold this crop for a while. 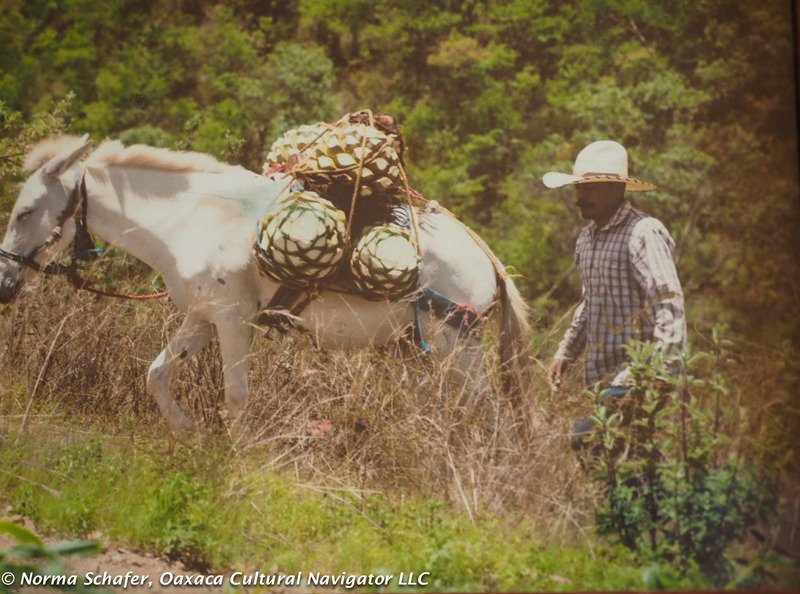 The price of agave piña has risen exponentially, 15 times greater than it was seven years ago, according to Alvin Starkman, operator of Mezcal Educational Excursions. For the last week, I’ve been drinking a cup of aguamiel in the morning. Zapotecs in the know say that aguamiel has curative, medicinal powers and aids in daily digestion. I’m a believer. 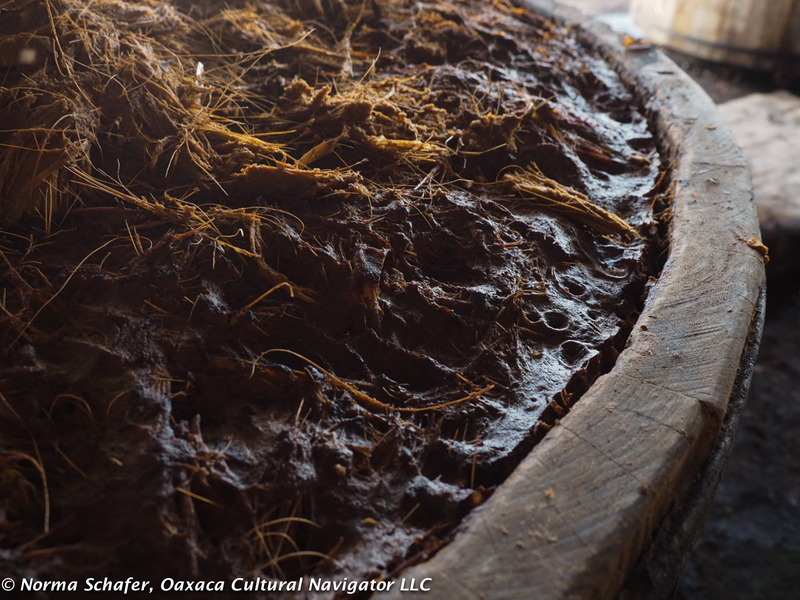 Aguamiel is the sap that comes from the heart of the agave when you cut the top off. Honey water. That’s what they call it, and it tastes like it. 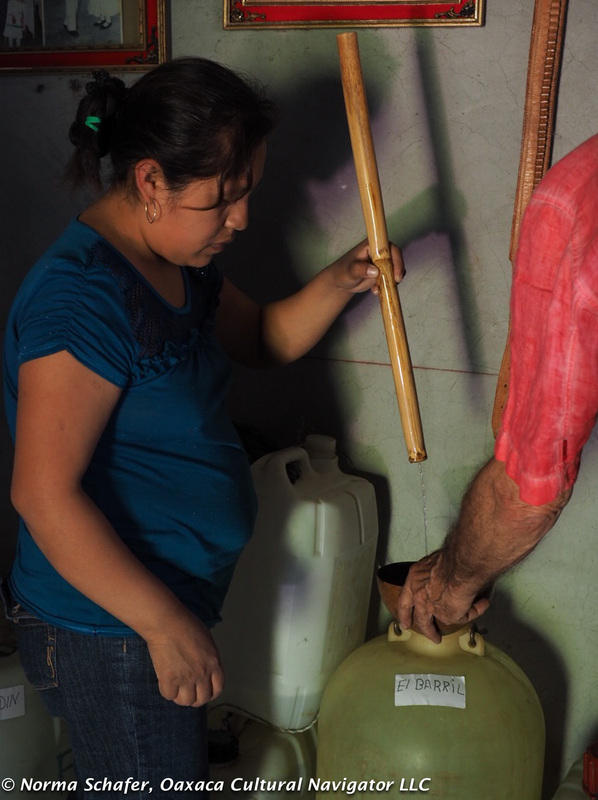 After one day unrefrigerated, it begins to ferment and after a few days will become pulque. An acquired taste. After four days of fermentation, you are drinking pure bubbling alcohol that goes from clear to cloudy. Some flavor it with fruit or oatmeal to sweeten the taste. 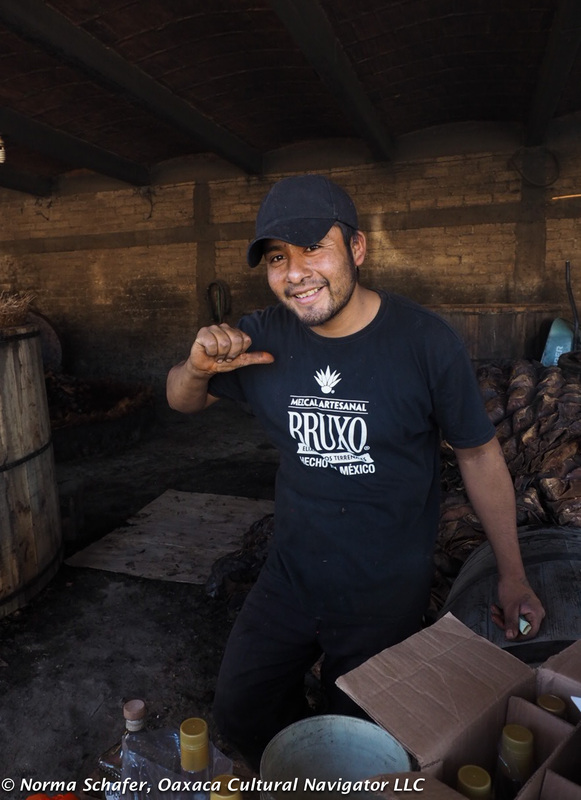 Last week, I tasted tepache in the Tlacolula market. (Find the stand next to the row of ice cream vendors on the rug sellers street.) This is pulque with fermented fresh pineapple. A half a cup before lunch and I needed the arm of a friend to steady me. But, it sure was tasty. 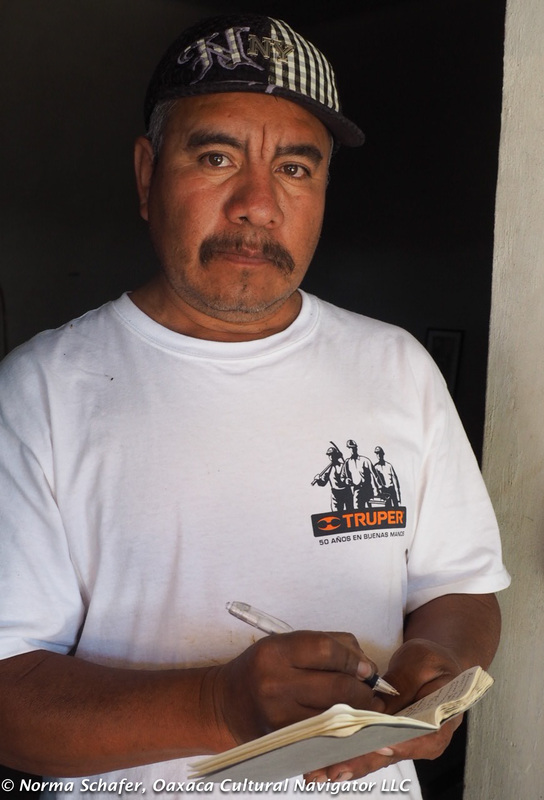 In the U.S. with the absence of pulque, some tepache recipes call for beer and pineapple! Which brings me to mezcal, the epitome of distilled beverage in these parts. 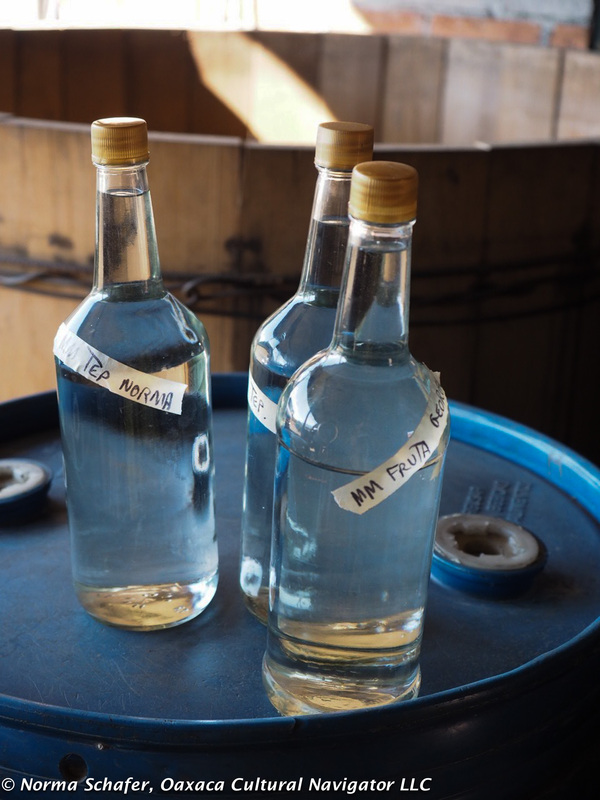 I am not even close to being knowledgeable, but I now have about 14 bottles of locally produced mezcal in my collection. 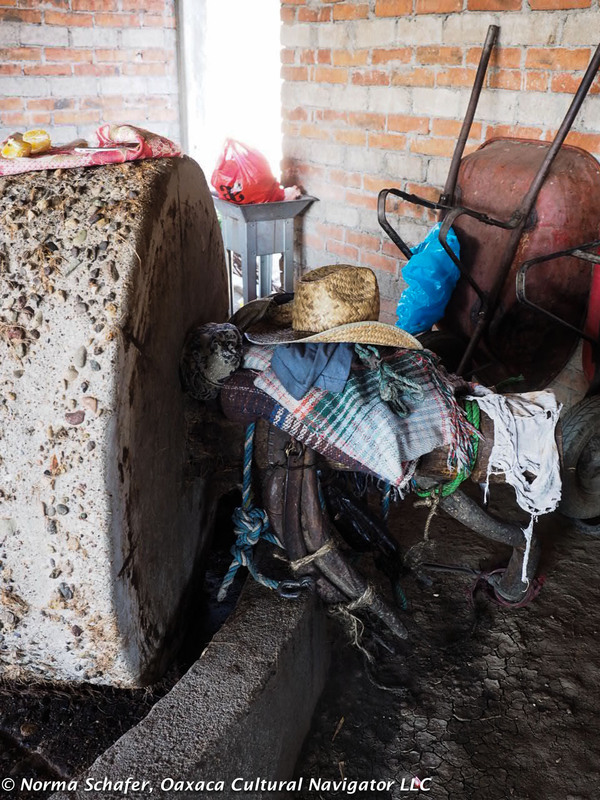 I added the last six — plastic bottles, mostly with the Coke label, filled at the source — during a day-long mezcal education tour with Alvin Starkman. (Plenty of tasting, too.) Nine family members and friends joined me. Those who flew away, left with officially bottled and sealed beverages, thanks to Alvin. 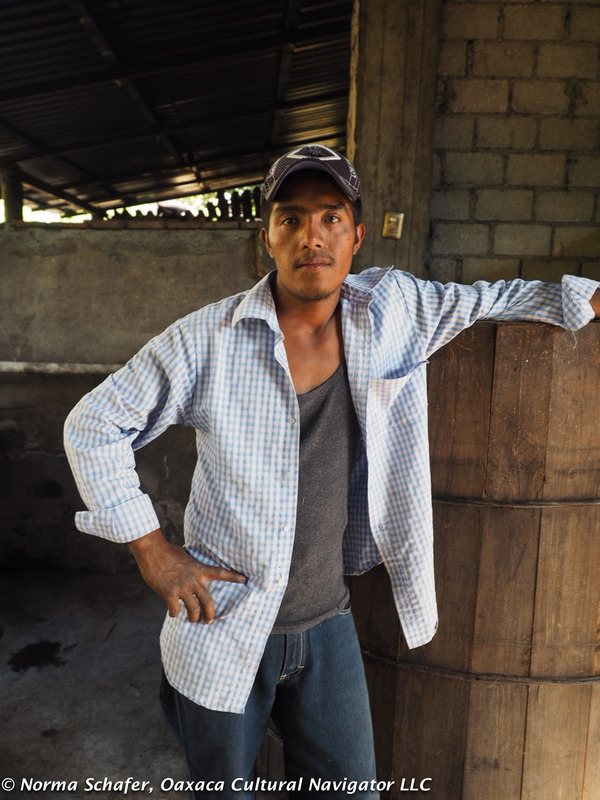 It takes an education and time to understand mezcal and one-day is just the beginning. So is a collection of 14 bottles. Hardly enough to matter to the serious collector. 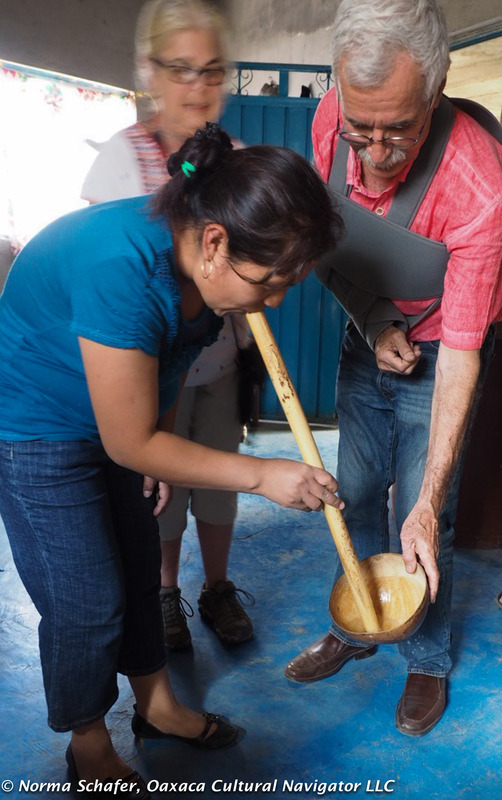 On the trip with Alvin, I learned that I like tepeztate and clay distilled espadin. 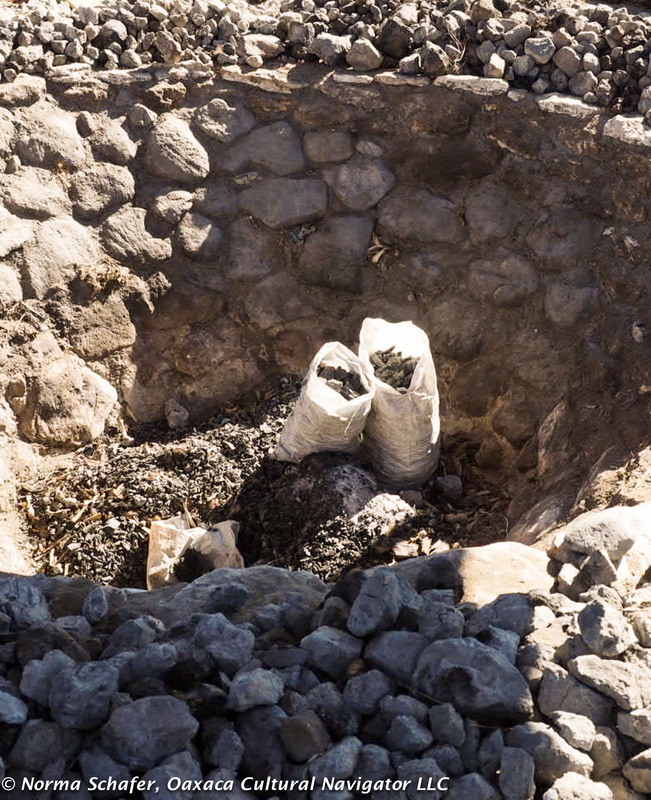 Clay gives the mezcal the flavor of loam and fire. I used to really like añejo and reposado, and these are very smooth. 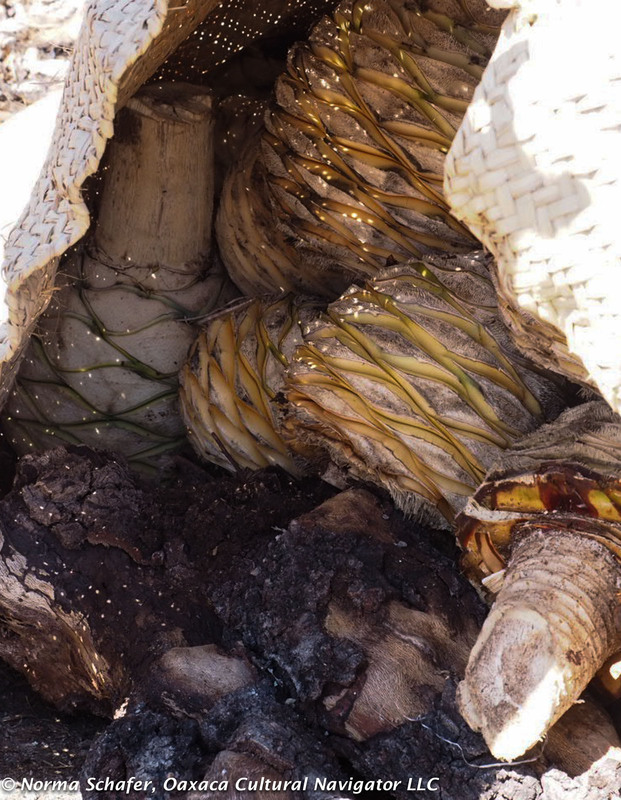 Now, however, what tickles my nose and throat are the nuances of the herbs and earthiness of the wild agaves. Stick your nose in the glass. Inhale. Get that full smokey aroma from the roasted-over-wood agave heart (called piña or pineapple) into your lungs. Then sip. Just a little bit. Second sip, take a little more. You’ll see that what might have felt harsh to your throat at first is now subtle and delightful. 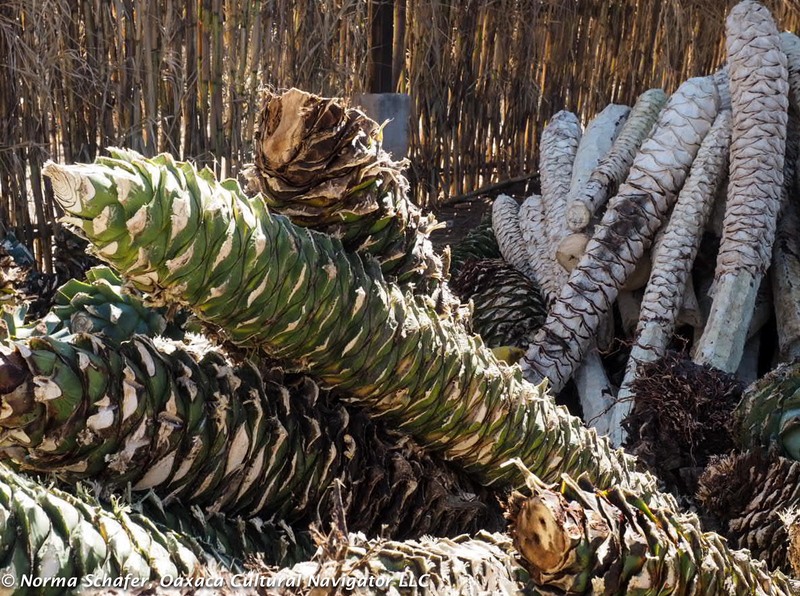 Each type of cactus will make a different type of mezcal. 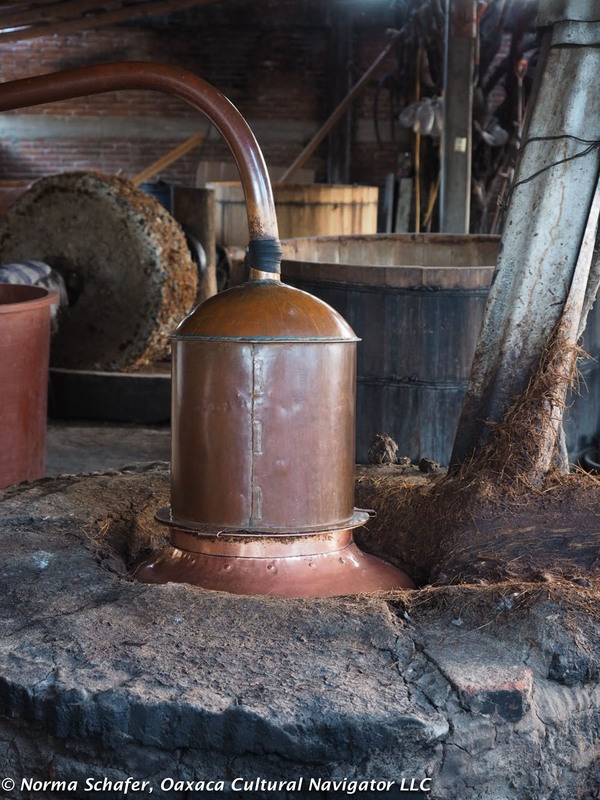 Maybe it’s an espadin distilled with a turkey breast (pechuga de pavo) hanging over the copper pot. Now, there’s a flavor worth trying. Is it fermented in oak, pine, a bull skin, plastic or stainless steel, and for how long? This impacts the flavor. Is it made from a tobala, Karwinskii or madrecuixe agave. Are fruits or poleo (wild mint) added for flavor? And what about that worm? And what about the microclimates and soil types? 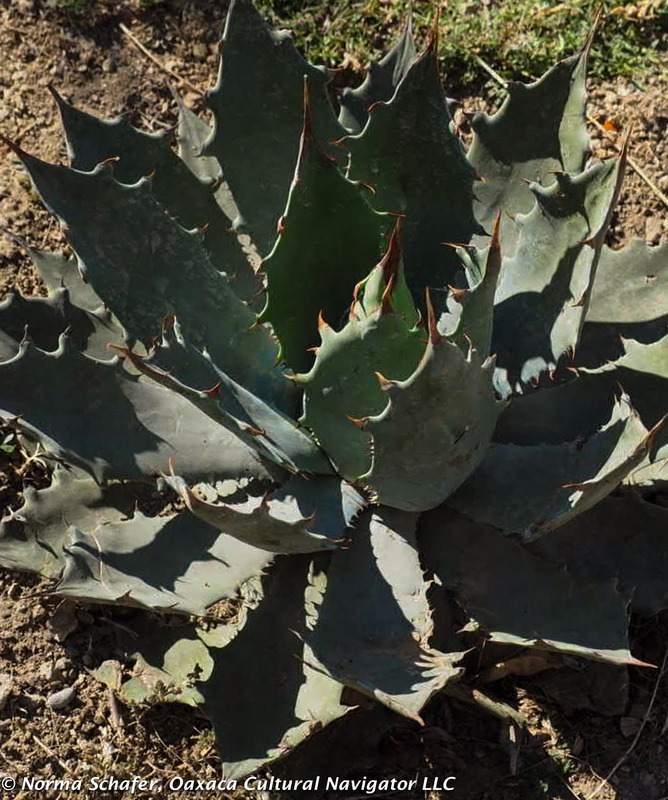 Yes, the same agave will produce a different taste with a variation in soil temperature, altitude, and whether the field is shared with weeds or with squash and beans, and when it was last plowed. 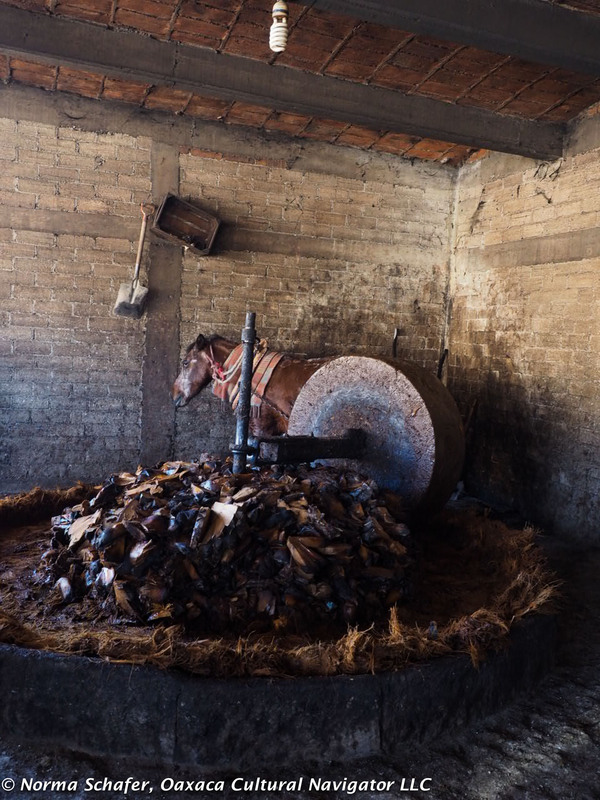 Whether you live here or are visiting, mezcal is worth knowing about. It is an ancient artisanal craft on par with rug weaving, natural dyeing, clay making and more recently wood carving. Getting out to the palenques on country back roads is a unique experience. 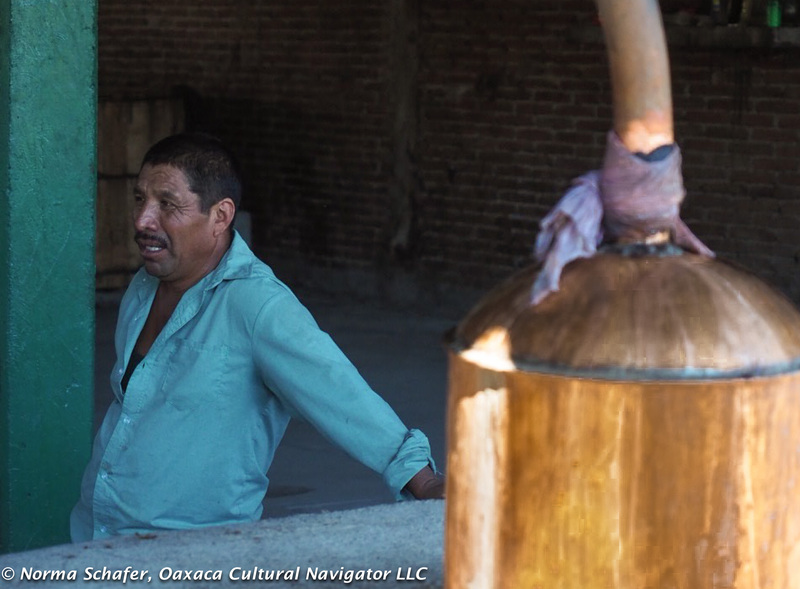 Meeting the men and women who grow the agave and distill it is even more amazing. Many live very simple, humble lives and their production is small. They may not be certified but what they make can be every bit as delicious. 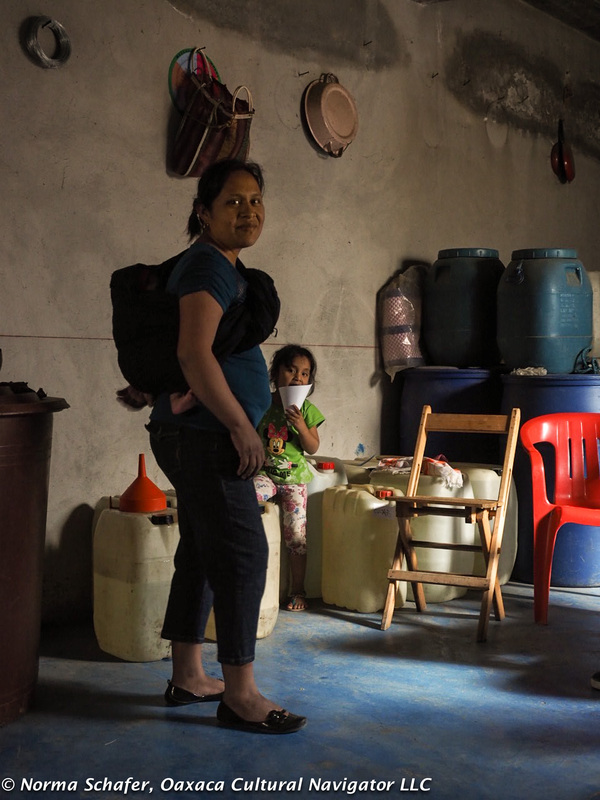 When you go to the source, you are able to buy, too, at a fraction of what you would pay for a bottle in the city. But, it’s not really about price, it’s about the adventure! 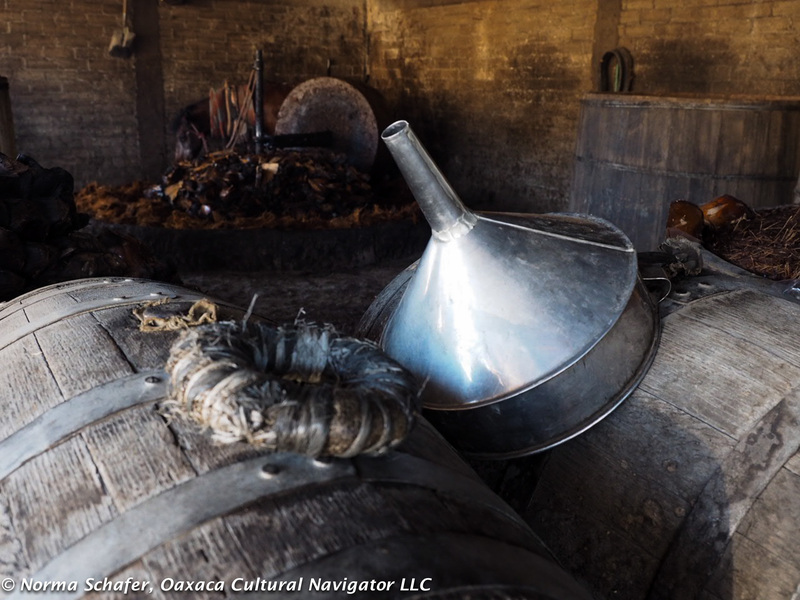 While most tequila is made with 100% agave, it can be made with as little as 51% agave bsed sugars. Read the label carefully, especially the more popular commercial brands made in the most industrialized way. Note: Most of these photos were taken on the trip with Alvin Starkman. Others were shot during an independent adventure I took with my son, sister and brother-in-law to San Juan del Rio the week before. 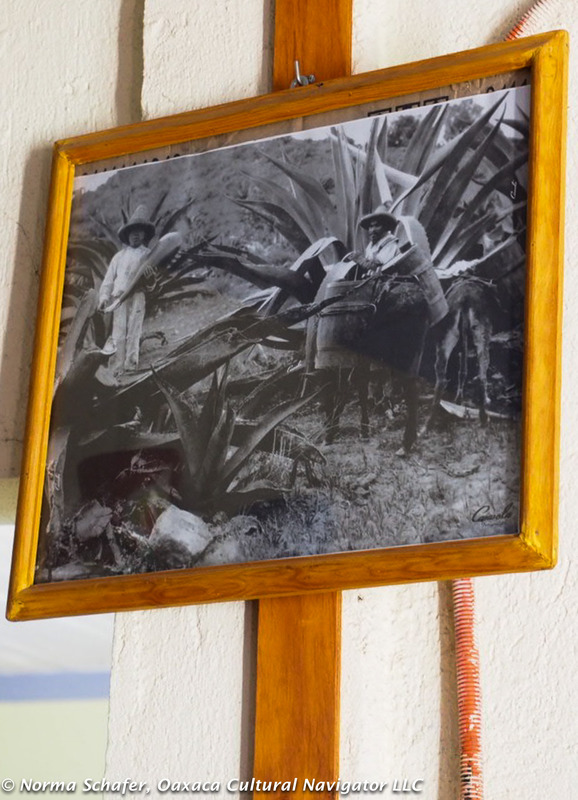 This entry was posted in Cultural Commentary, Oaxaca Mexico art and culture, Oaxaca travel, Photography, Travel & Tourism and tagged agave, aguamiel, Alvin Starkman, cactus, education, facts, history, Mexico, mezcal, Oaxaca, pulque, resources, tour. Bookmark the permalink. I am taking a trip to Oaxaca in January. Is it possible to find fresh aquamiel and if so, any recs? Thanks!!! 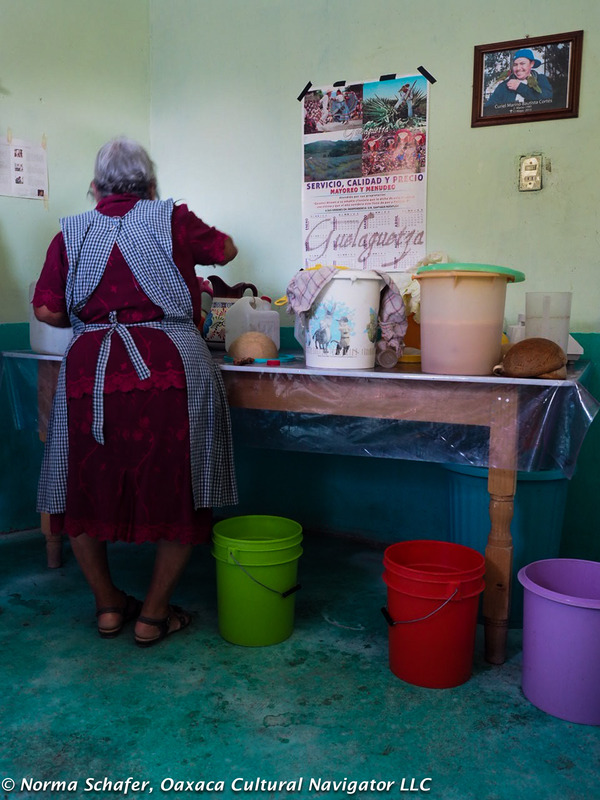 Many mezcal bars in Oaxaca will also sell pulque. 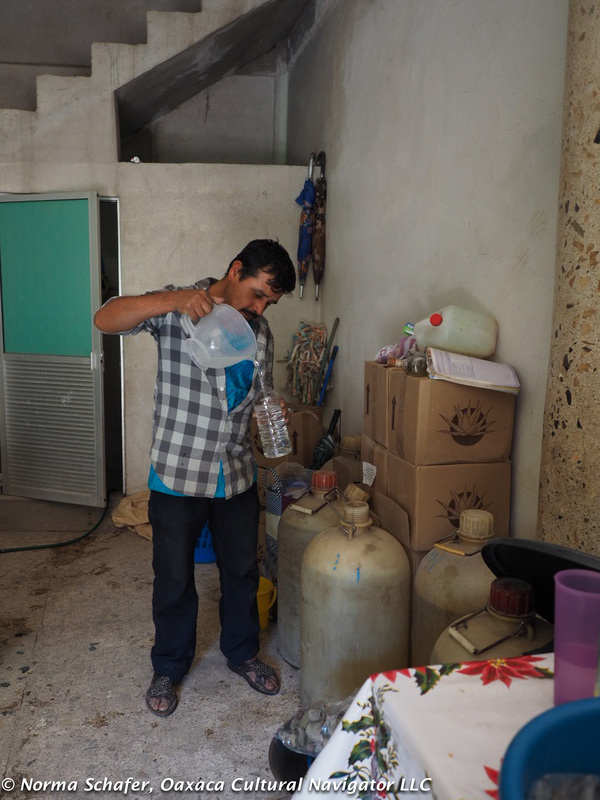 If it is fresh and just came in within the past 24 hours, it is essentially aguamiel, the liquid before it begins to ferment into pulque. 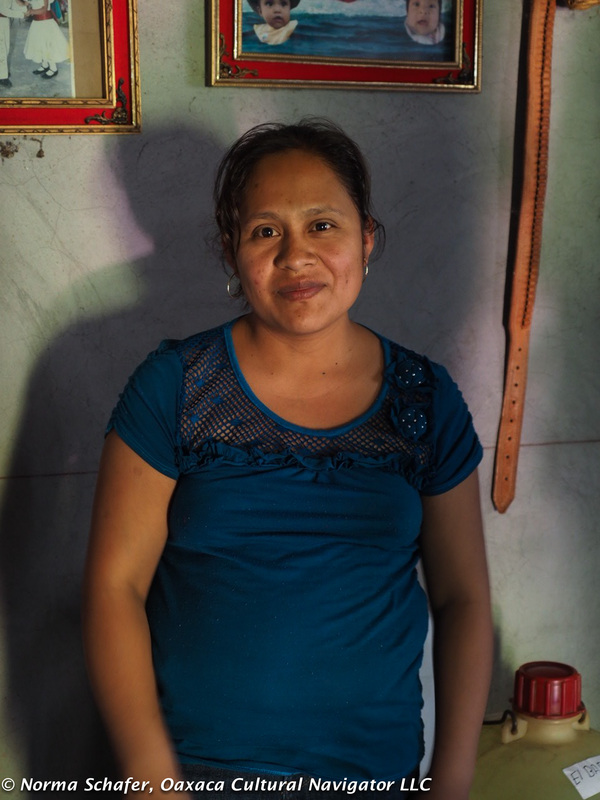 You can also get it at the Sunday Tlacolula Market, and at a few tiendas in Santiago Matatlan. Hi Norma! I’m really enjoying your site. 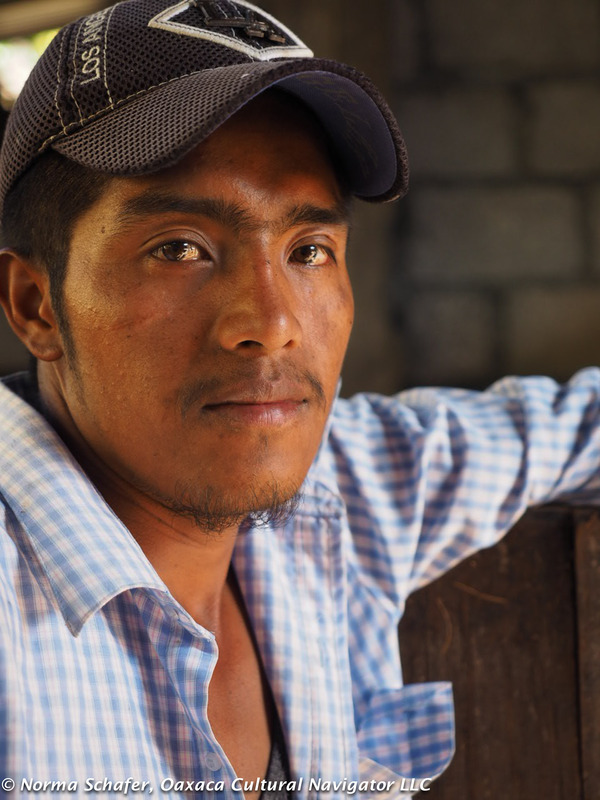 I’ll be coming to Oaxaca in March to work with farmers in the Mixteca Alta, and was just talking about my trip to a friend yesterday. He asked me what I’m most looking forward to. First, I told him, was that I was looking forward to cooking with farmers. 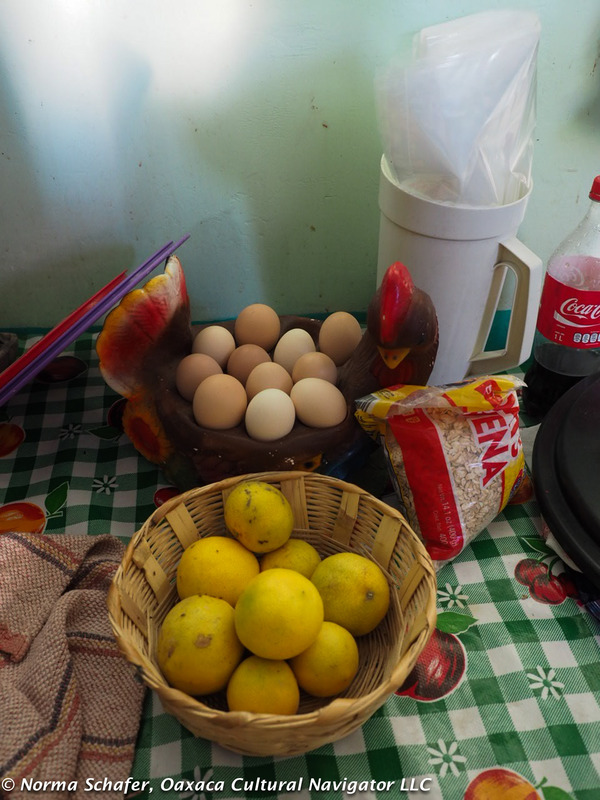 Second, was that I am looking forward to drinking pulque again in the markets and the countryside. 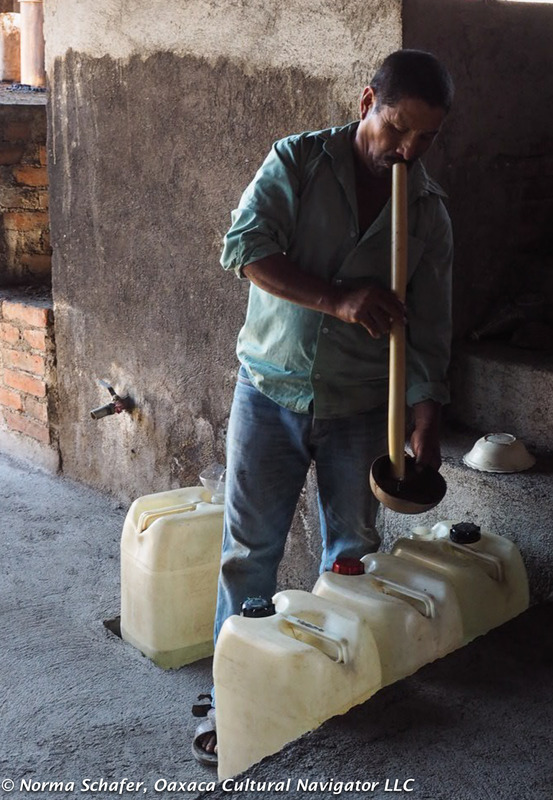 My friend is an accomplished barman in the states, and though he’s heard of mezcal for sure, many people are unaware of aguamiel and pulque outside of Mexico. 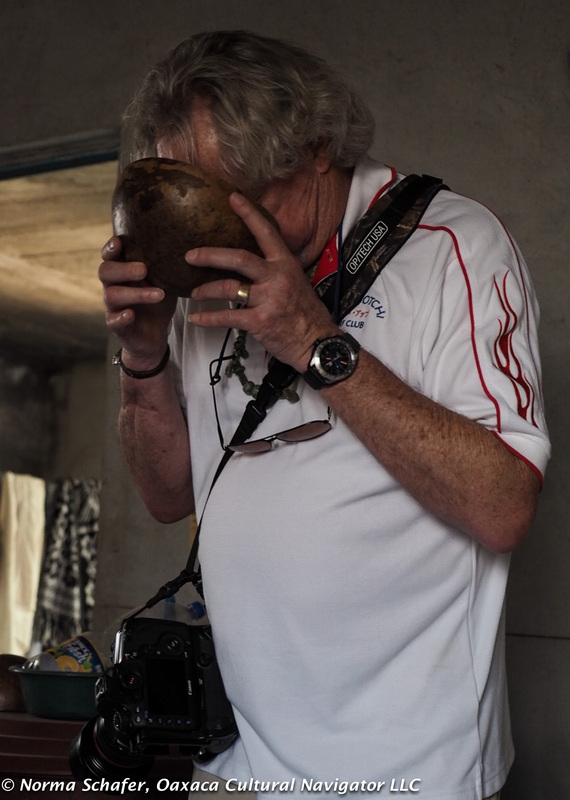 It was a joy to tell him about these two amazing beverages too, in addition to tejate. 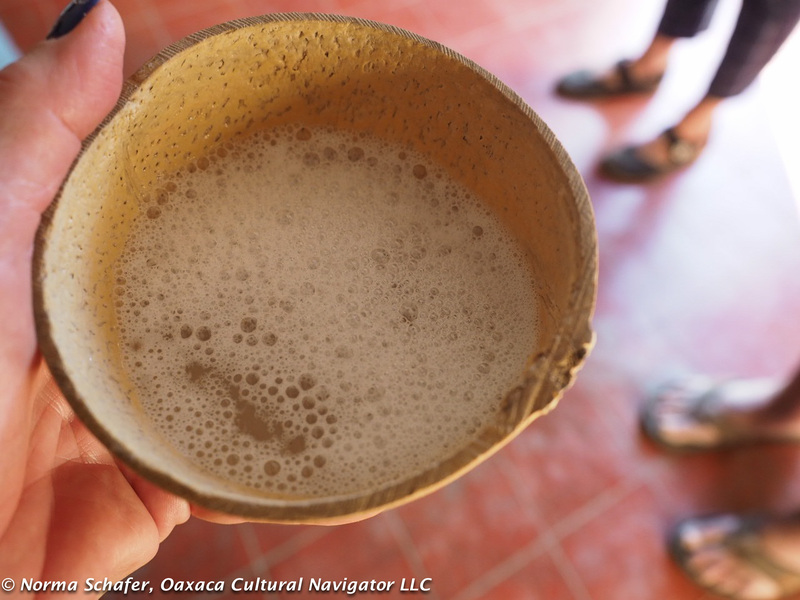 I’d love it if there were a way to bring back pulque to share with my friends in the states who can’t make it down to Oaxaca. But, truly, part of the experience is just being there, sharing a home-made craft beverage with a passionate hardworking person who has learned to make it from their family. Ahhh! See you soon! Great post Norma! 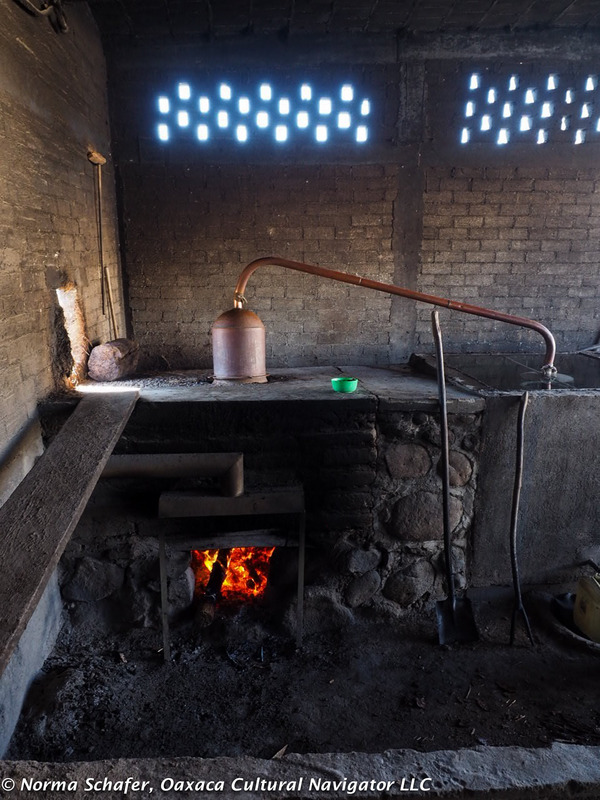 I love to hear about mezcal! hope we’ll be tasting some there. 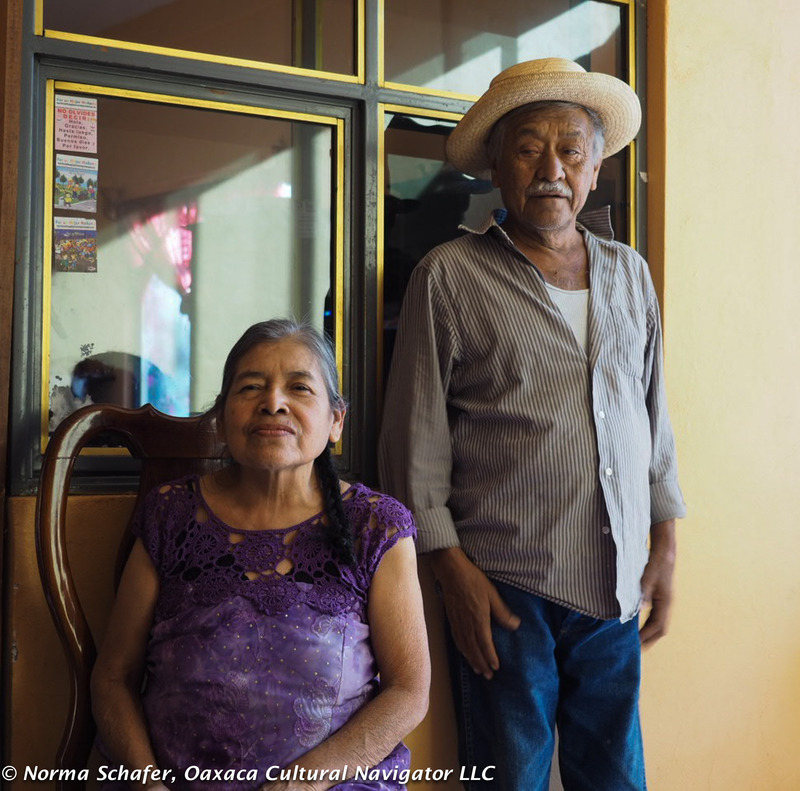 Hope to see you soon in Colorado or Oaxaca or New Mexico! Hi Lynn. How great. Enjoy Tulum. Weather in Mexico is balmy now. I’m certain you will find some dandy mezcal there. Hope to see you soon, too, mi amiga. 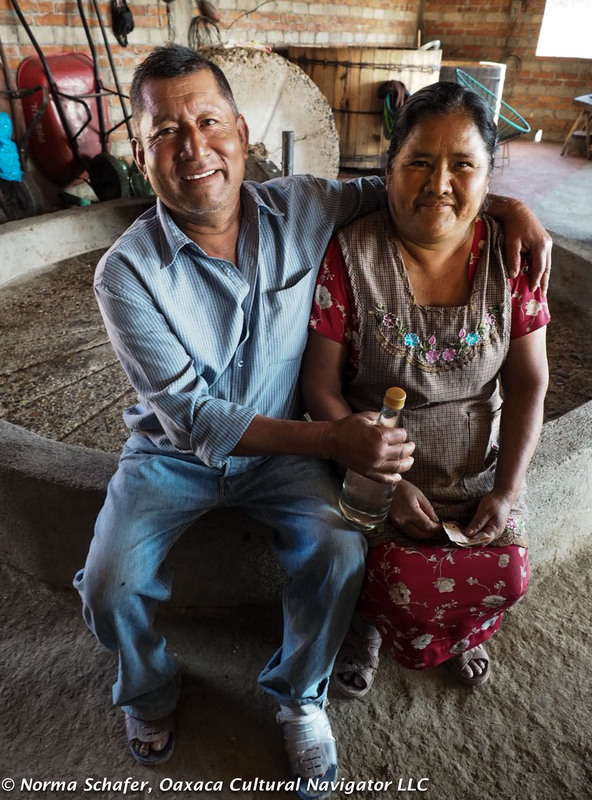 Thanks Norma, for bringing the Mezcal trip back to me; now I wish I has a little jicara of mezcal to sip, but I am in San Cristobal at the moment. Really really good post and fantastic photos; LOVE IT! Thanks, Francine. So glad you were along. Emptied one of the uncertified Cuixe mezcals from our trip into one of my antique blown glass mezcal bottles. Such an aroma. So beautiful. Will share when you return! 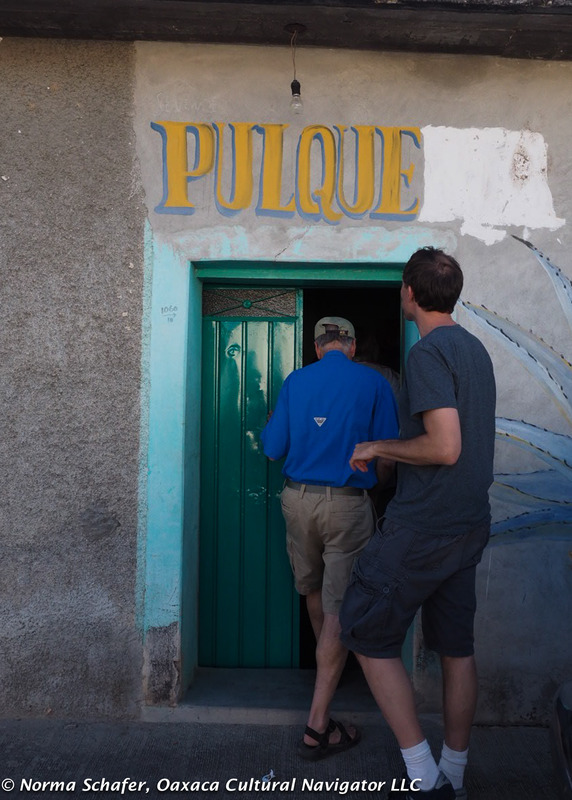 Great article….and Wow , this brings back memories of our trip out to San Juan del Rio in 2014….too cool. Hope to go out again soon. I’ll be in Oaxaca Jan 20th for a month. See you soon amigita. Thanks Sherita. Super cool. Can’t wait to see you! But, I should mention that agave are not of the cactus family. Thanks for this correction, Andrew, and bringing it to my attention. I’ve changed the post title. Mil gracias. Great info on this post. Definitely Mezcal improves with age. We drank from a 2003 bottle of Mezcal pechuga from Santa Catarina Minas last night. Superb! I can only imagine! Filled up with another bottle of agua miel today.